Youth sports are ever growing and evolving; the number of leagues is increasing as are participation levels in learn-to-play programs across the globe. But this growing engagement shouldn’t stop here. For Dee Dee, it was clear that hockey had and still has a diversity problem. But the sport also has the ability to create systemic change off the ice. With that in mind, Ricks created NextGen as a full resource athletic program that focuses on the whole student-athlete. Off the ice, student-athletes within the program are supported by a team of educators and advisors who are dedicated to preparing the next generation of hockey players with everything from SAT and ACT tutoring, to prep school placement and valuable internship experience in the offseason. As young players climb in ranks and begin to play competitively, there are also growing costs. 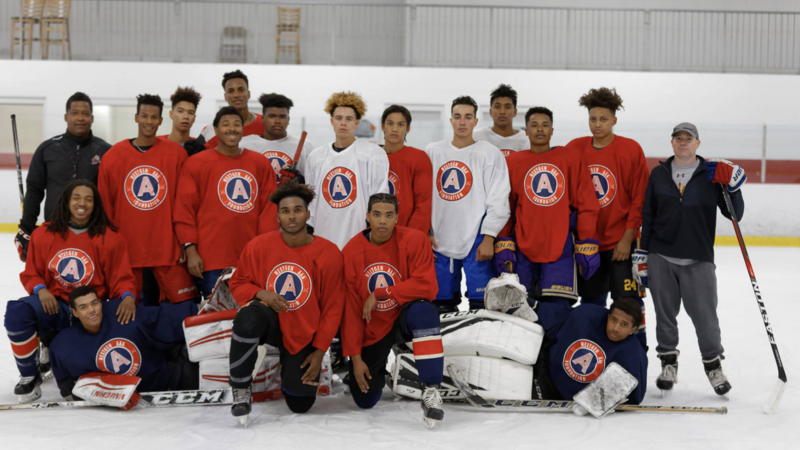 By keeping diverse, low-income, and at-risk student-athletes in the game of hockey NextGen AAA is facilitating their path to higher education. There is more diversity in competitive youth hockey as a result of NextGen but Dee Dee and her team can’t stop now, they have the goal to grow their elite program to 500 student-athletes in five years and truly invest in growing each player, giving them just as many opportunities as their peers to compete at the highest level. The main barrier to entry in the sport of hockey is the high cost to play. 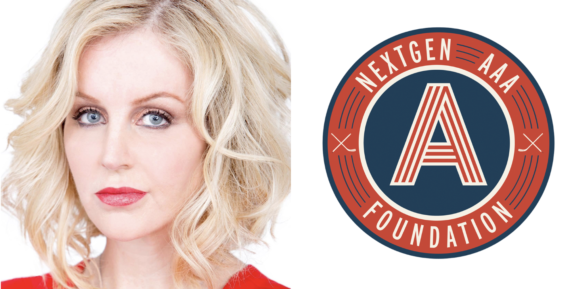 The NextGen foundation would not exist without learn-to-skate programs which serve as a door to the sport and provide the initial opportunity for young athletes to become hockey players. Many hockey players from underserved communities have the skills and dedication to continue with the sport but lack the financial means. The USA National Team Development Program (NTDP) spends an average of 92 thousand dollars per player. 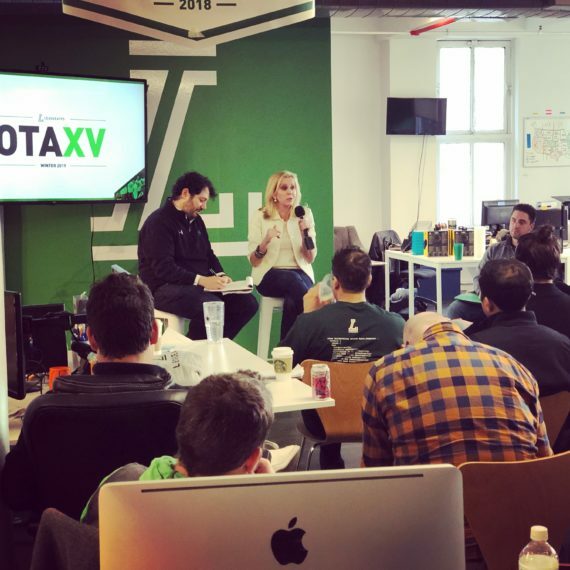 Within the NextGen community, the average household income for 12-year-old players and below is 75 thousand dollars per year and in the next age bracket, 12 to 18-year-olds, average household income rises to 110 thousand dollars per year. Hockey at the competitive club level is nearly impossible for these families to afford, and this is a large contributor to the dropoff in participation once players reach 12 years of age. This presents the bottleneck in competitive youth hockey. As players get older, costs rise and force them to withdraw and drop out of the sport. Unfortunately, the costs associated with playing hockey are not going to decrease enough to accommodate the 75K per year households. There are ways to lower costs, but it will only make hockey slightly more affordable. Creating more ice time with more hockey facilities would increase the supply and in turn lower prices, but this will only shift the bottleneck. NextGen hopes to remove this bottleneck entirely. The only way to remove the financial barrier in youth hockey is by funding talented athletes. When athletes are funded by NextGen they are able to continue playing the game they love and receive a path to higher education. Whether players in the program get on track to play collegiate hockey or simply attend college, NextGen has been successful. Sports can have such a positive impact on diverse, low-income, and at-risk youth because of the lessons they teach, the dedication and work ethic they instill and the relationships they build. Removing the participation bottleneck in youth hockey will undoubtedly change the lives of low-income youth but it will also diversify the sport and give it the momentum to compete on a global level. Participating in elite youth hockey is a direct pipeline to collegiate hockey and the NHL, by supporting programs such as the NextGen AAA Foundation, we can help all youth, regardless of race, religion or socioeconomic status, gain as much access to the game of hockey as their peers.